If you cancel, no refund will be given. Entry Fees are non-transferable and non refundable. You will still receive you DAR cycling top, posted or collected. All competitors must be over the age of 18. 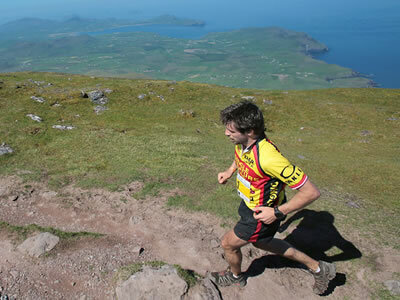 All competitors are aware that the Dingle Adventure Race is a demanding course; which includes road cycling, mountain running/walking, road run and kayaking. 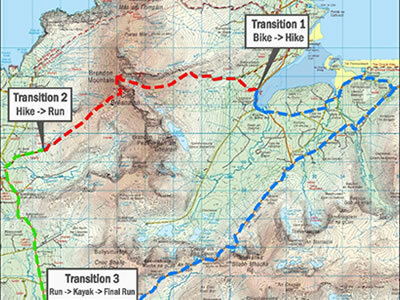 Competitors should have a minimum level of good fitness if taking part as individual, all competitors in relay category should have average to good fitness and know what is involved in their stage /stages. All competitors should hydrate, rest and eat well day before and on morning of Race and should avoid alcohol the night before race. DAR organizers and their team will be taking photos and videos during race, all competitors are aware and agree that these images maybe used on website, newspapers and promotion of future events. All competitors are responsible for collecting their Bikes at Bike transition at end of race, all bikes must be collected by 5.45pm. All competitors to leave timing device at finish, if you lose timing device during course you can not be listed in top 10 finishers of your category and must pay for loss of device. DAR course may be change if extreme weather conditions occur.